Catalogue > Cities: maps and sights of cities and villages > 1. North Brabant and Limburg > MAASTRICHT. Sint Pietersberg. 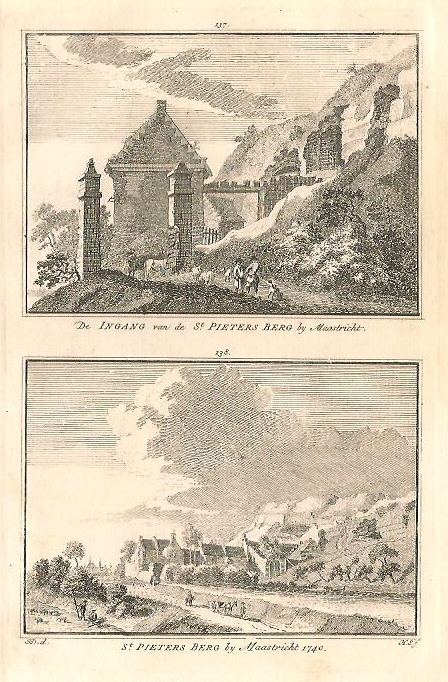 De INGANG van de St. PIETERS BERG by Maastricht. / St. PIETERS BERG by Maastricht 1740. Hoogte 16,5 cm; breedte 10 cm.